A pure varietal wine from grapes grown by David and Annette Innes at Littlehampton. Viticulture was first established in the Adelaide Hills in 1839 by John Barton Hack at a place near Mount Barker, just five kilometres from Littlehampton. 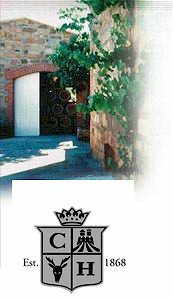 It has been recently rediscovered as a winegrowing area. Littlehampton is an ideal site to practice organic viticulture, and responds well to biodynamics for keeping the vines healthy. Pinot Gris has been well received by the soils and climes here, where it ripens to plump varietal flavours and a judiciously crisp acidity. The natural advantage afforded by Adelaide Hills are altitudes of 600 metres, which provides cooler growing conditions during summer and a greater day/night temperature differential for acid retention in the grapes, combined with a greater purity of fruit flavours. Soils consist of sandy loam overlying weathered shale and clay, which provide excellent conditions for viticulture. Careful hand picking means selection of the best quality fruit, which translates into excellent and exceptional wines. Pinot Gris is treated to fermentation in tank and held on lees for six months, stirred fortnightly and bottled promptly post vintage without seeing any ageing or oak, to preserve the exciting Pinot Gris fruit characters. Pale gold with copper hues. Punctuated floral aromas of almond and citrus blossom with nectarine, passionfruit and ripe nashi pear fruits. The palate is full of sweet, juicy pear and custard apple flavours, layers of rich minerality and beautifully balanced acidity; creamy mid-palate and excellent length. Enjoy with seafood, vegetarian pâte, antipasto and Alfredo pastas.